Michael C Hall is best known (on this site anyway!) as Dexter Morgan on Showtime’s hit TV show, Dexter. He does a wonderful job bringing the very multi-faceted and fascinating character to life. He does such a good job, that sometimes it’s difficult to separate Michael C Hall, the real person, with his Showtime character. 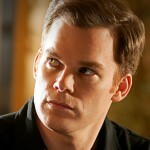 However, there is much more to Michael C Hall than just his role as the mysterious but loveable psychopath. Whether it’s about his other acting endeavors, his personal and family life, his witty quotes, or his brave battle with cancer, there’s always something new and interesting to learn about this very talented guy. Let’s take some time to examine the man behind the killing mask. New York University, MFA in acting. Hall attended Ravenscroft School in Raleigh, graduating in 1989. He graduated from Earlham College in 1993 and had planned to become a lawyer. He later attended New York University’s Master of Fine Arts program in New York City. Michael Carlisle Hall is a North Carolina native and graduate of NYU’s Master of Fine Arts program in acting. His most recent performance was on Broadway as the emcee in “Cabaret.” Hall has previously starred in nearly a dozen major off-Broadway plays, including “Macbeth” for the New York Shakespeare Festival, “Cymbeline” for the New York Shakespeare Festival at Central Park’s Decone Theater, “Timon of Athens” and “Henry V at the Public”, “The English Teachers” for Manhattan Class Company, “Corpus Christi” at the Manhattan Theatre Club and “Skylight” at the Mark Taper Forum. Non-acting careers: Furniture mover for an interior design firm during high school; selling suits for a clothing warehouse. TV Shows: Dexter, Six Feet Under. Stage: Cabaret, Chicago, Macbeth, Cymbeline, Timon of Athens, Henry V.
Michael shares a birthday with Clark Gable and Brandon Lee. Michael played a small role in the movie Paycheck. Michael was chosen as one of People Magazine’s Sexiest Men Alive for 2007. Michael’s mother is head of guidance and dean of students at a high school in North Carolina. For the part of Dexter, Michael read some stuff by FBI profilers on what they know about serial killers. He read some interviews with different serial killers. Spent some time with a blood spatter analyst at the police department in Miami, and got an idea of what he does day in and day out. Hall played sports in school and sang in school choirs. Michael C Hall never really considered acting as a career until I moved to New York. “When we did the pilot, I was very nervous… I was beginning to work with my favorite actor. I had to do a lot of relaxation to be on set with Michael… I was such a huge fan of his and just couldn’t believe I was cast to play opposite him. I was really waiting for someone to come up to me and say it’s all a joke,” Benz told me during our interview. In fact, Benz was such a fan, her ringtone used to be the Six Feet Under theme song, a show which Hall previously starred on. Michael C Hall auditioned twice for the part of his Six Feet Under’s character “David Fisher” in New York, then had a third and final screen-test day. David James Fisher is a fictional character played by Michael C. Hall on the HBO television series Six Feet Under. The character is the middle child of three and is a third-generation funeral director. Initially, the character is portrayed as socially conservative (and possibly politically so), dutiful to his family, emotionally repressed and conflicted about his homosexuality. Over the course of the series, he faces struggles and triumphs both personally and professionally. His most significant challenges are related to keeping his funeral home in business, navigating his relationship with Keith Charles, surviving being carjacked, and coping with the death of his father. By the show’s end, he reconciles his religious beliefs, personal goals and homosexuality, and he and Keith settle down. They adopt two children: eight-year-old Anthony and twelve-year-old Durrell. The series finale and official HBO website indicate that Keith is murdered in a robbery in 2029, and that David at some point finds companionship with Raoul Martinez, with whom he remains until his death at the age of 75. Among critics, David Fisher has been cited as the first realistic portrayal of a gay lead male character on television and is popularly regarded as one of the most beloved characters of the series. Michael C. Hall was widely praised for his portrayal of the character, and was nominated for and won major awards as a result. Michael married Amy Spanger in 2002. They appeared together in the Broadway play Kiss Me, Kate. They divorced after four years of marriage. On New Years Eve, 2008, Michael wed fellow Dexter co-star, and on screen sister, Jennifer Carpenter. They secretly married after dating for a year and a half. Family members and friends weren’t invited. On December 18, 2010, Carpenter filed for divorce from Hall. The filing states that the two had been separated since August 2010. When Michael learned last year that he had Hodgkin’s lymphoma, it wasn’t just the diagnosis but the timing that was unnerving. Hall was 38 – just a year younger than his own father was when he died of prostate cancer, when Hall was a child. It was a bizarre coincidence, made all the more resonant by the fact that Hall had long connected the age 39 to his own feelings of mortality. Hall turned 39 this past February. His cancer is in remission, and he feels completely revitalized. If anything, he says, he felt extra energy after the effects of the chemotherapy wore off. As the fifth season of Dexter premieres this Sunday on Showtime, Hall looks back at his career so far and sees a pattern of playing repressed characters – not just Dexter Morgan but also David Fisher on Six Feet Under. Perhaps, says Hall, that’s another legacy from having a father who died young. Michael discussed his portrayal of Dexter in a 2006 interview. 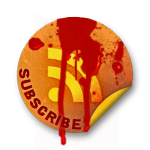 How does Michael feel about all that blood and gore? Q: Dexter is gory. Ever get squeamish? Nah! If that stuff were actually real, I’d be as squeamish as anybody. But as long as I know it’s fake, I’m totally fine. Q: Is it odd that fans root for a killer? I’m comfortable with people rooting for me because I make- pretend kill! Q: After being on Dexter and Six Feet Under, what do you want to do next? I’d love to do something where I never encounter a dead body! I will add to this growing Mega Michael C Hall post as time goes on.